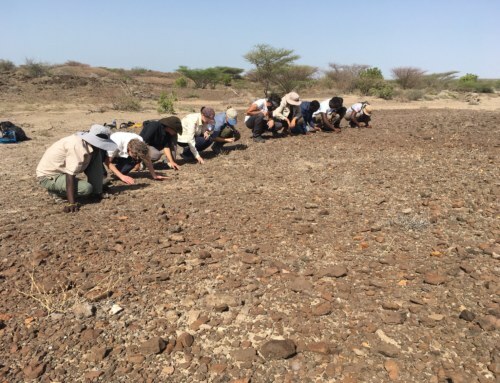 The rock record of the Turkana Basin contains a history of tectonic movement, volcanic activity, and climatic alterations that have all affected precipitation patterns, river systems, lake levels, and more. 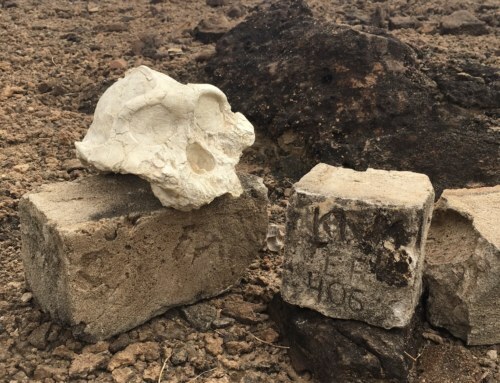 Understanding these morphological changes provides a more complete picture and possible factors that have affected early life in this region. Vital to this research are maps and the ability to show features on the landscape and to mark areas of interest that can be relocated. 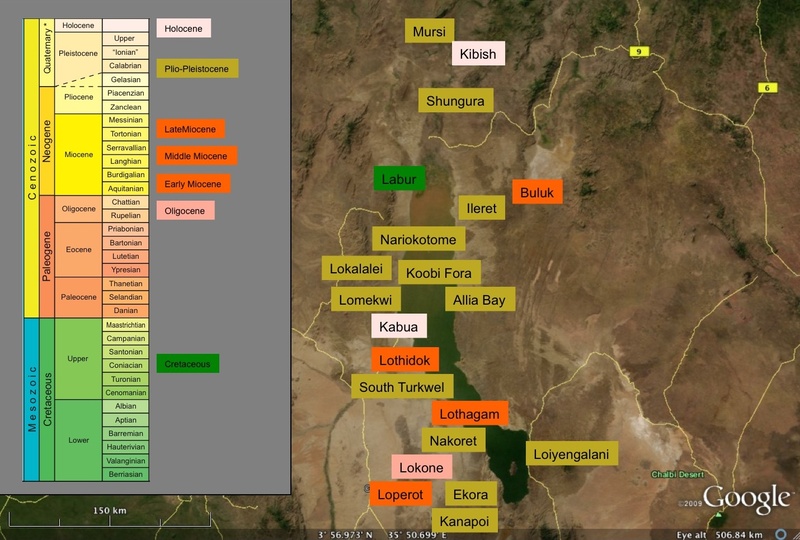 As you can imagine, early field maps in the Turkana Basin were sometimes inaccurate and quite incomplete. 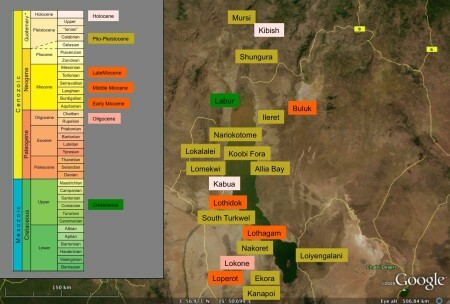 How could anyone get much work done back then when the Turkana region once had many wild animals and no roads? 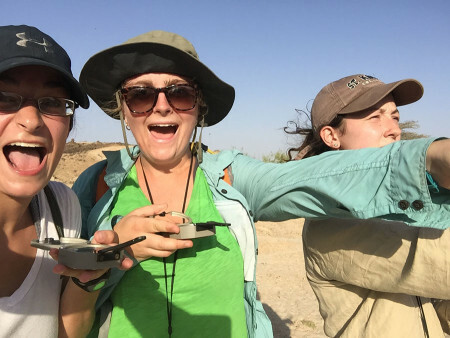 Before looking at rocks and studying physical structures and processes that shape the Earth’s landscape, the first task for the Geology module involved creating a map that represents features within an area. In remote regions (such as northern Kenya) without mobile phone service or detailed terrain maps on GPS units, field researchers will often create a sketch of an area and take photographs until they can later analyze their GPS data on a computer with Internet access. 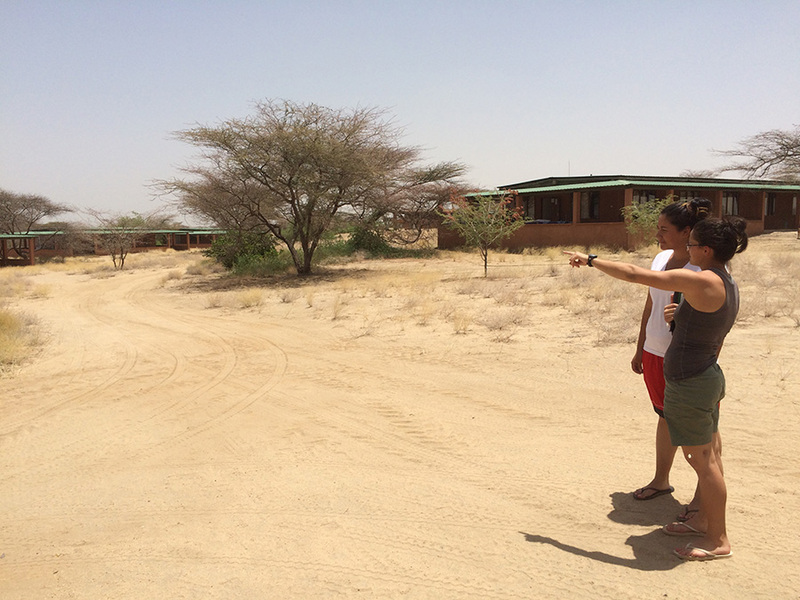 Students began their mapping assignment by making observations of the TBI – Turkwel campus and next, creating a sketch map of the facility. Below are a few examples of this activity and a satellite image taken from GoogleEarth of the campus. Jayde and Aileen discuss what they will include in their sketch maps. Sketch map of TBI – Turkwel. Satellite imagery of TBI – Turkwel obtained from GoogleEarth. As expected, there was a wide variation in the maps in which it would be difficult to locate a particular spot when returning to the TBI facility years later. 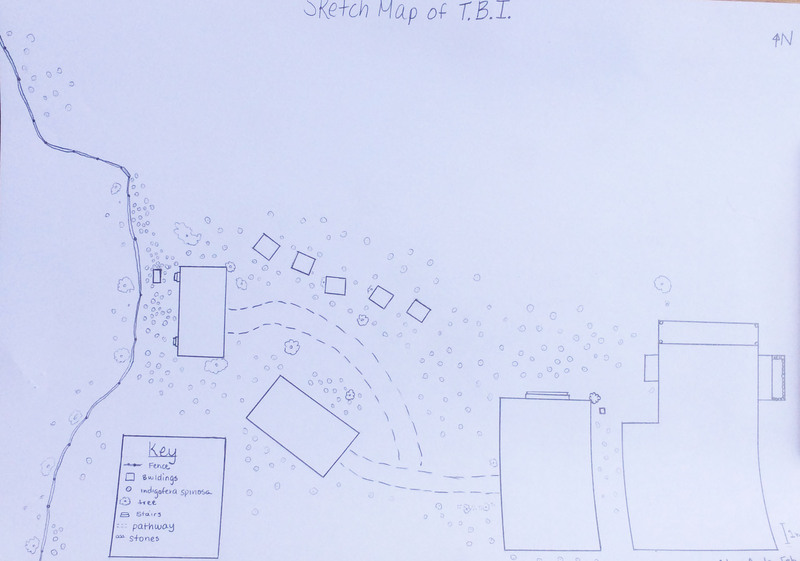 The students improved their initial maps of TBI Turkwel. 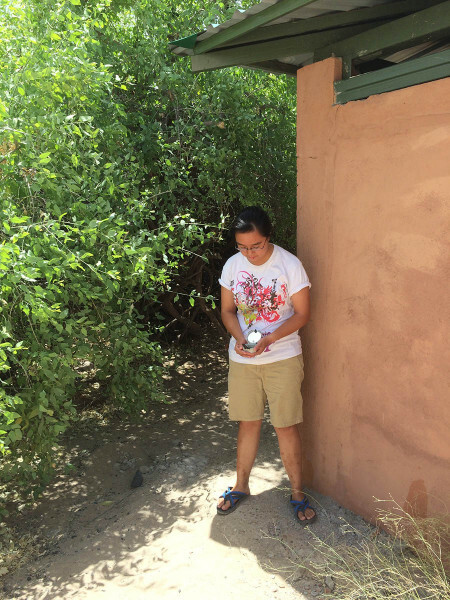 This time they recorded the compass direction and distance between buildings and other notable points on campus. Rachel and Larisa measure the distance and direction between structures. For direction they are using an important geological field tool, a Brunton Compass. Sam also measures the direction from one corner of a building to the next. 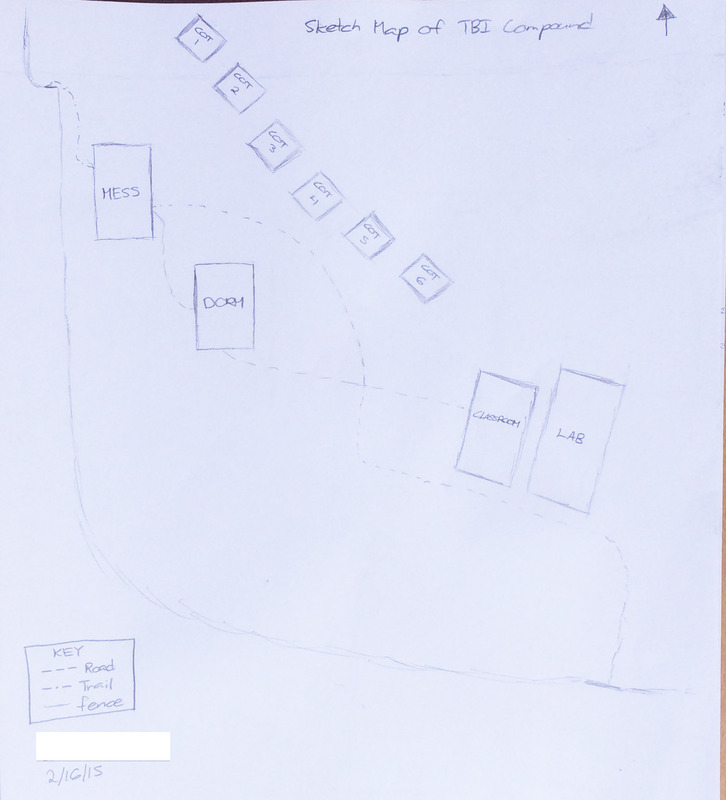 Very nice map constructed of the campus. 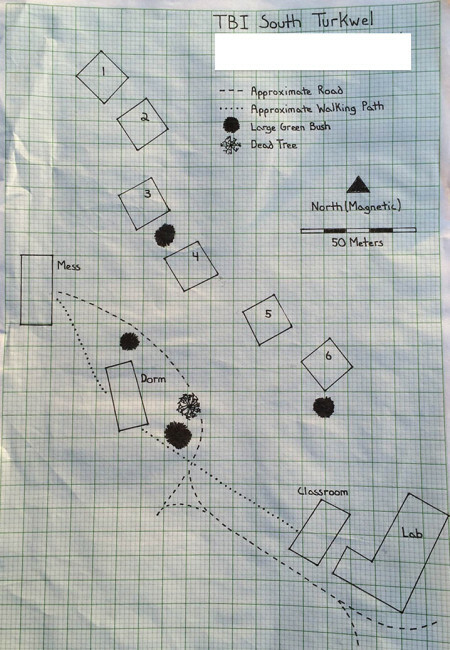 Compare this with the initial sketches and the GoogleEarth image. 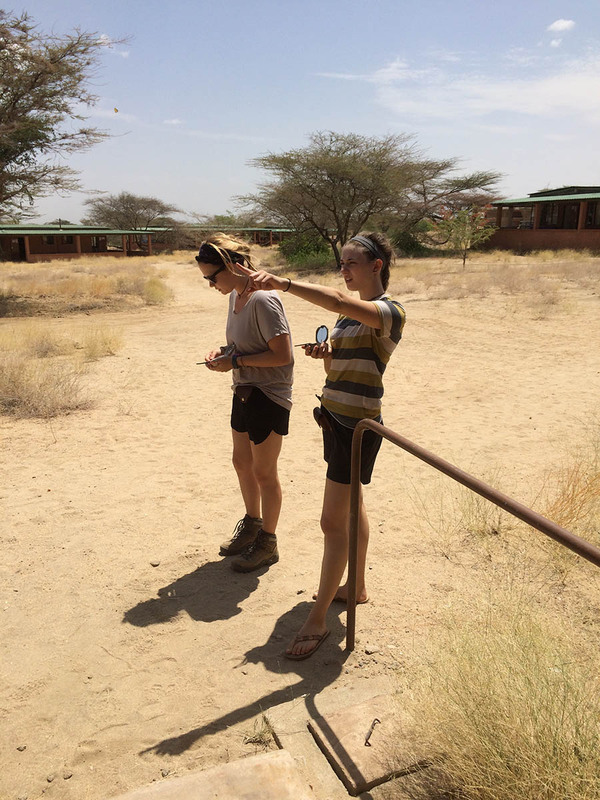 In the next field activity, students showed their understanding with using a GPS unit, Brunton compass, and ability to follow directions by creating a track of an area outside the TBI – Turkwel facility. 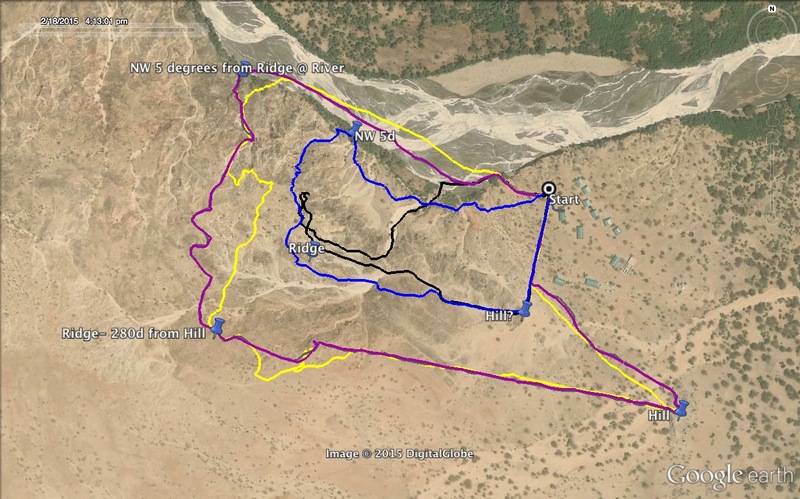 GPS tracks from each group was loaded onto GoogleEarth and shown below. Tracks created by four separate groups. 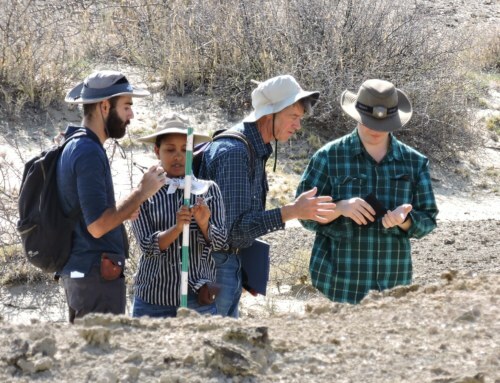 From “Cellphone Hill,” one successful group spots a ridge in the distance that is located at about 280 degrees (towards the northwest). The hill happens to be a major fault in the area and of course, a place with mobile phone reception. 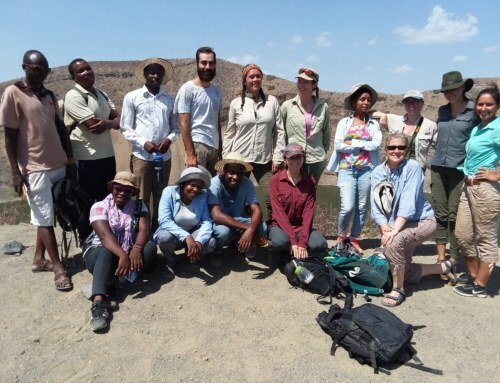 Within a few days, students were able to create a sketch map of the Lake Turkana Basin and marked the location of major rivers, mountain ranges, and key archaeological, paleontological, and paleoanthropologic sites. 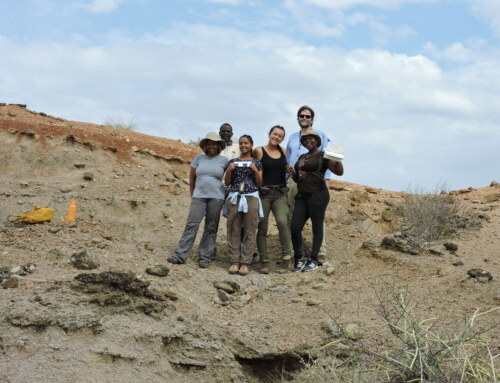 The goal here is to learn what the landscape looked like, how it has changed over time, and how the environment may have affected early life in the Turkana Basin. 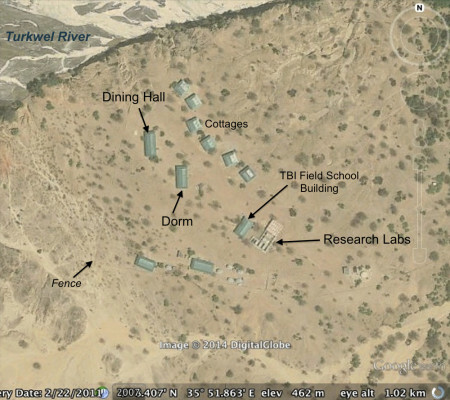 Here’s a GoogleEarth image of the Turkana Basin, modified by TBI Field School Geology professor Dr. Feibel. By R. Linda Martín|2017-01-04T18:04:49-07:00February 24th, 2015|Field Schools, Spring 2015|Comments Off on Map it!